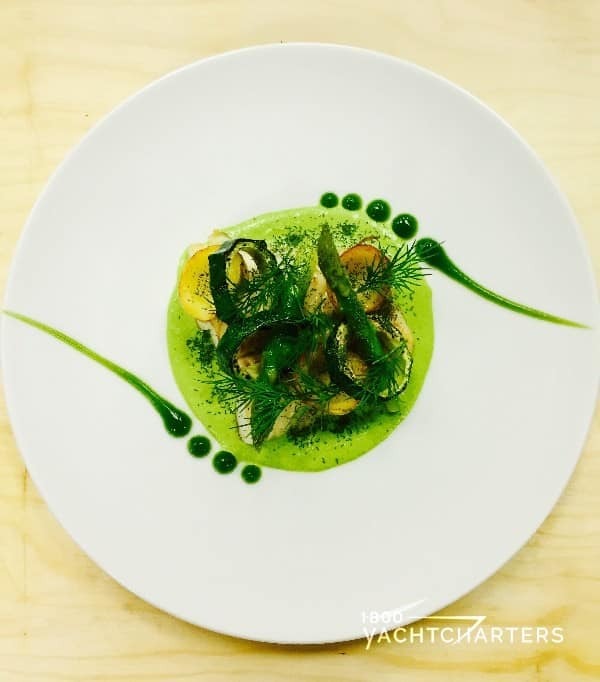 Freelance chef Jason Carruthers has joined the crew onboard the 37 meter Formula 1 inspired motor yacht AURELIA for the upcoming Balearic Island yacht charter season. 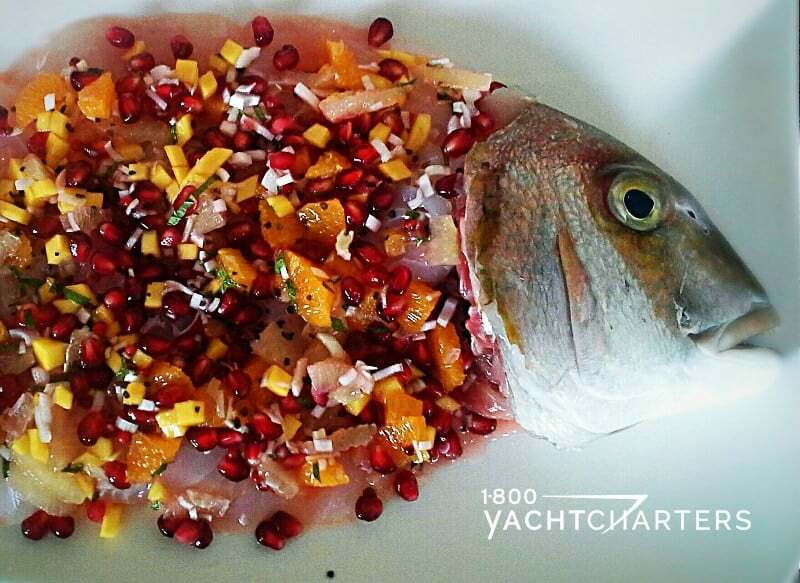 Jason has spent the last 15 years traveling and honing his culinary skills, both on land an onboard private yacht charter vessels. 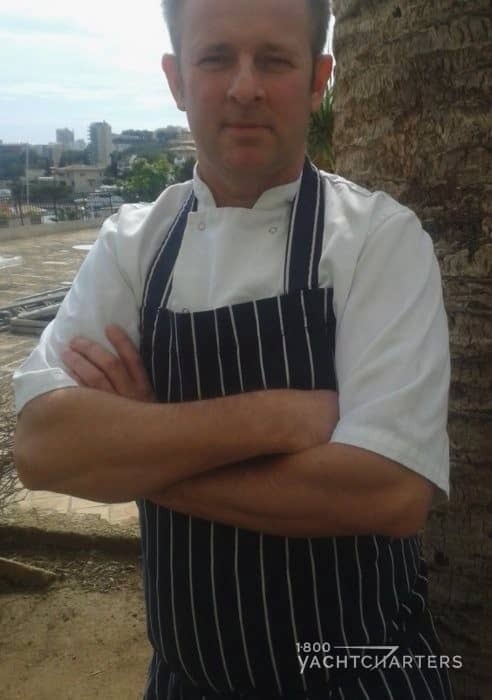 His travels have helped him develop an extensive knowledge of international cuisine. Now living in Palma Mallorca, Carruthers joins the 6-person yacht charter crew on board the sleek superyacht, whose home port is also Palma. 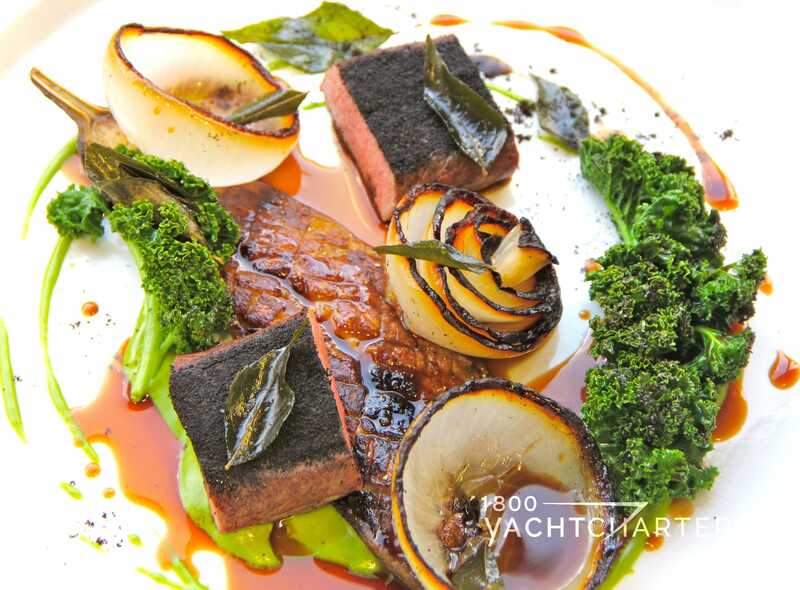 Aside from his culinary talents, Carruthers also holds an endorsement in Standards of Training, Certification, and Watchkeeping (SCTW Maritme), as well as certificates in hygiene, and firefighting, and sea survival. As he has previously worked on yachts, Jana Sheeder, President of 1-800 Yacht Charters sees Carruthers as a natural fit to serving onboard motor yacht Aurelia – one of her most popular Balearic Island yacht charter vessels. Jason’s new home at sea, Heesen yacht Aurelia (priced from €105,000 per week), is well-known in the Balearics. Yacht charters in Spain require the vessel secure a Spanish charter license in order to begin an conclude charters within Spanish waters. 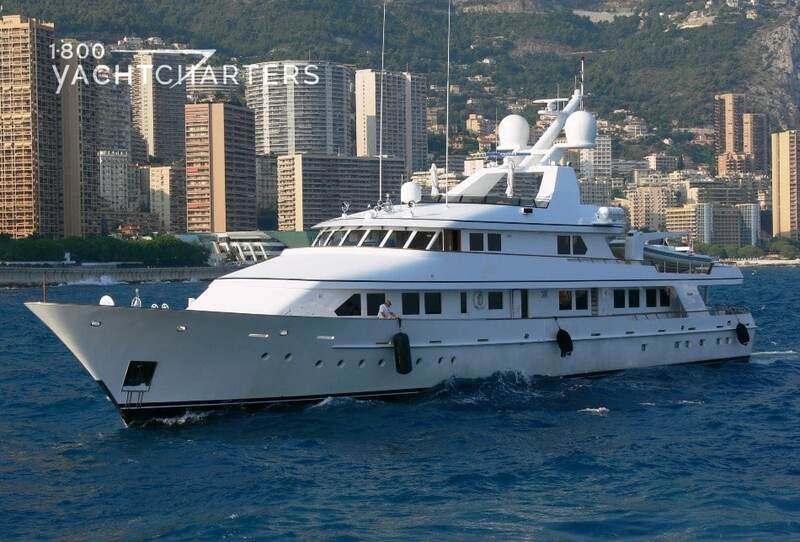 Possessing this license gives Aurelia a distinct advantage over other charter vessels. Without this license, a yacht can either start or end a charter in Spain – but it cannot do both. This forces unlicensed yachts to spend part of the charter period in far-away France – adding additional fuel costs to the charter customer’s tab (not to mention the loss of precious charter time in Spain). Aurelia offers accommodations for eight guests in four staterooms. With her non-traditional paint scheme inspired by Formula 1 racing team colors, the yacht is instantly recognizable. 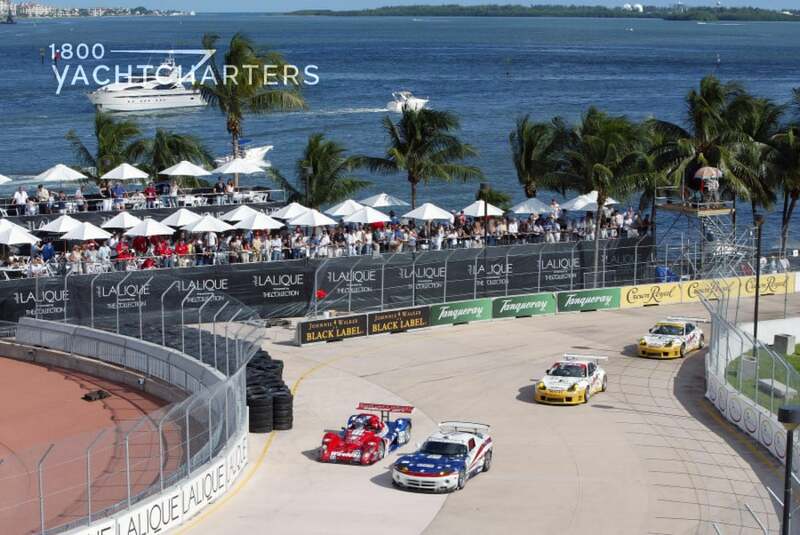 And just like a F-1 race car, this yacht is fast – hitting speeds of over 30 knots, while similar-sized motoryachts cruise at no more than 12-15 knots. Charting a yacht with such impressive speed capabilities means Balearic island yacht charter clients can explore the entire chain of islands – from Ibiza to Mallorca, within a week-long getaway. 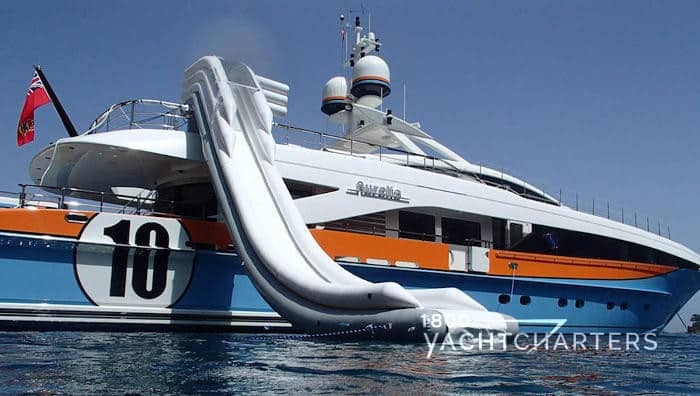 Smile, stop drooling, pick up your phone, and TEXT: I WANT TO CHARTER to 305-720-7245 to start planning your Balearic Island yacht charter vacation onboard Aurelia, or one of over a dozen yachts with Spanish charter licenses, represented by 1-800 Yacht Charters.